Fleet management solution requirement for Cargo, Courier and Container movement is not just limited to tracking the vehicle location, but also extends to achieve safety and security of vehicles, goods and drivers, remote support capabilities, theft deterrence and resource optimization. Fleet Management includes a lot of responsibilities, which is not an easy activity to perform. 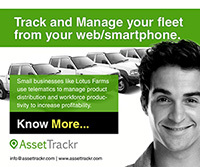 Now the general question is how does a fleet management solution work? Once you install a GPS Tracking Device on the vehicles, the system starts collecting information from the vehicles, like location, direction, speed etc. 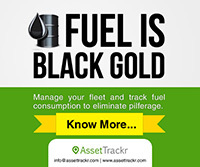 It also provides powerful insights on fuel performance if combined with fuel card provider.